Impact assessment is a must have when you are about to introduce a new policy or take a new course of action. The assessment template would help you to have a fair idea beforehand on what consequences the proposed plan can bring in. If you notice something undesirable with the predicted consequence, you would be able to change your course of action accordingly. When it comes to creating impact assessments, the skills assessment templates are always convenient. 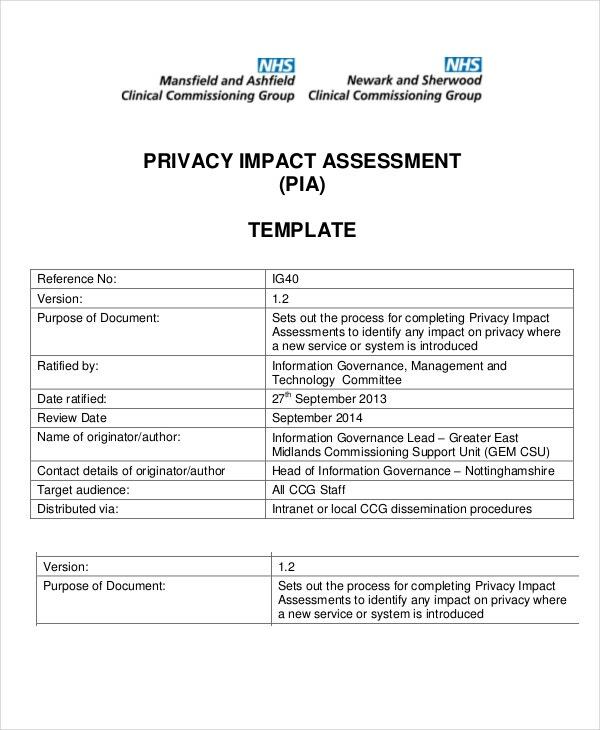 This template would be good if you are looking for a format for privacy impact assessment template. It comes with a clear table with information about the purpose of the document, ratification of the document, the target audience, etc. 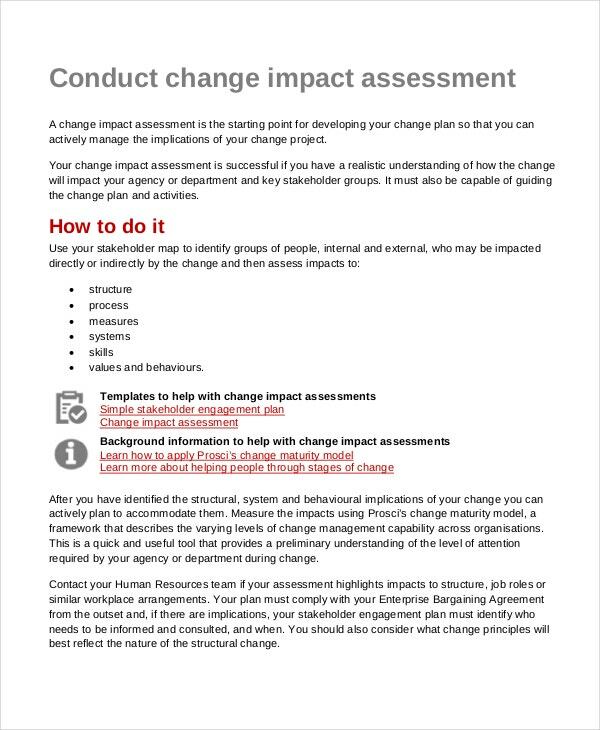 If you are to run a change impact assessment and need ideas on how to proceed, this document here would be the thing for you with its instructions on how to conduct the impact assessment. 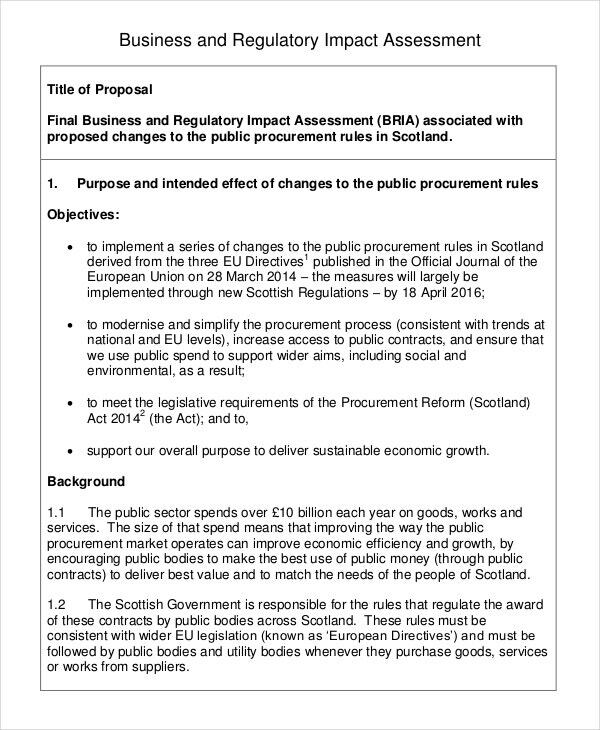 When it comes to a standard business and regulatory impact assessment document, this template would be definitely handy with its appropriate format- starting with the title, followed by purpose, background and other major aspects of such a document. 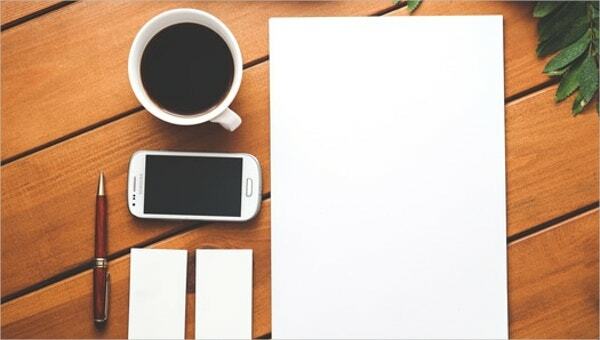 This is a professional equality impact assessment template with a readymade table with pointers on all leading points which are to be noted for such an assessment report. You would simply have to fill the spaces with your details. 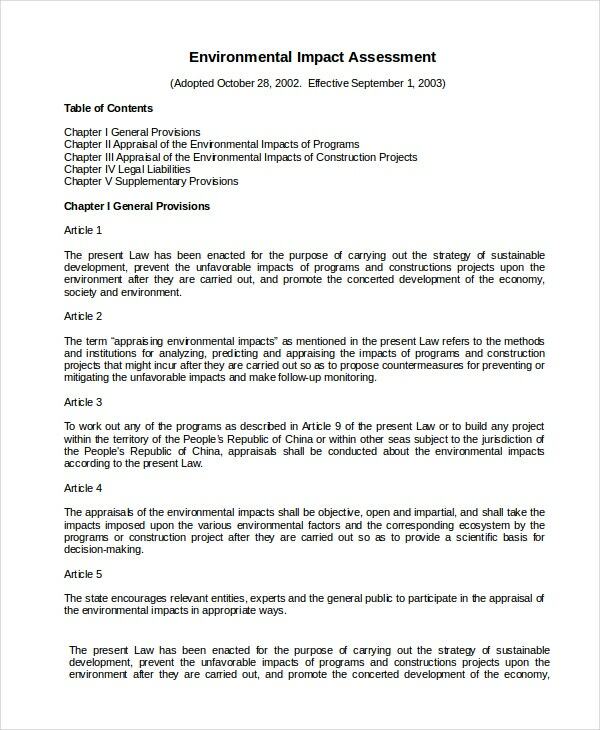 This is an extensive document featuring all the major articles related to PRC laws regarding an environmental impact assessment. The document includes all the 5 chapters here and would be useful if you are planning to run an impact assessment in the Sino scene. > What is the Purpose of an Impact Assessment Template? 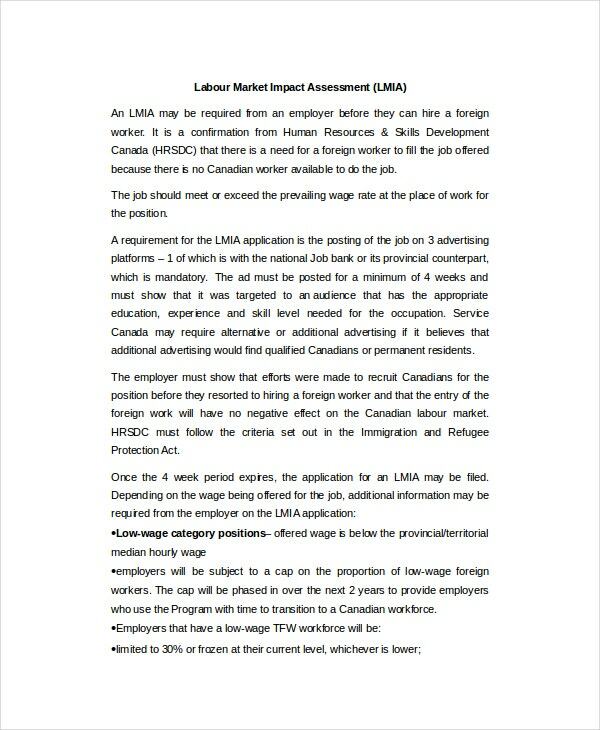 The main purpose of an impact assessment template is to gauge the consequences of a certain action on the subject group. Change is something inevitable and we have to take new steps over the course of time to adapt to changing times. But then, some changes might mean an undesired impact and this is why the impact assessment is really vital. Such assessments help you to foresee whether your proposed action would be able to bring the desired positive result for your target niche. Another purpose of impact assessment is to assure complete transparency about the project that you are about to take. 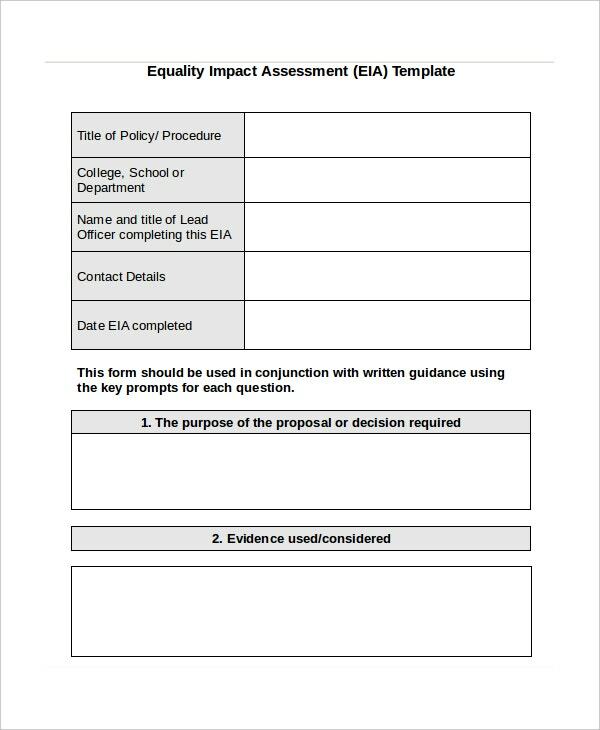 > Who Needs the Impact Assessment Template? The impact assessment template would be needed by anybody who is about to introduce a new change and hence wants to carry an assessment test to understand the impact. It would be useful to organizations working on environmental regulations or programs. Then, there are schools that run impact assessment programs to foresee the consequences of a certain policy with students and such a template would be really handy for them. Besides, organizations going for economic and project assessment templates would benefit from the impact assessment templates as well. Sometimes, businesses too run an impact assessment on their impact in the market and would need impact assessment samples. 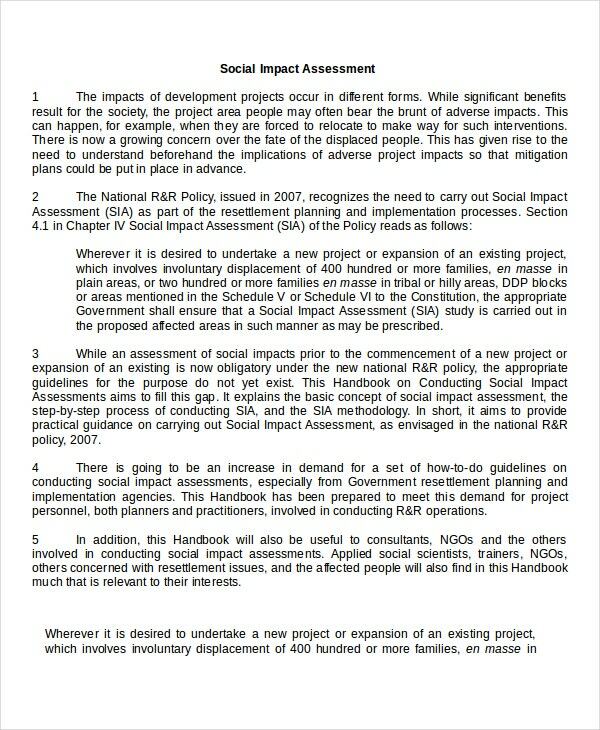 > What is the Benefit of Impact Assessment Template? The major benefit of impact assessment template is that such documents help you to predict what consequences your future action or policy are going to bring in. This way, you will have a somewhat fair idea on whether your planned course of action would be able to ensure the desired consequence. In case the impact assessment study reveals that your future action would fail to bring the wanted impact, you can always rectify the steps and mold the action accordingly for desired results. It, in turn, might even help you to prevent a disaster from happening. The templates will make your work easier by offering pre-designed samples. The above-mentioned templates will help you a lot when you are about to carry an impact assessment of any proposed course of action. It could be about self-assessment templates or about the impact of a new future policy. The templates mentioned above are designed by experts and assure easy customization.